Why the Nobel Peace Prize never went to Gandhiji ? We did some research, and found startling surprises. 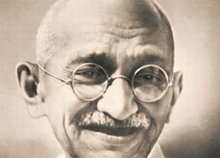 Mohandas Gandhi, the Mahatma, “the Great Soul“, was never awarded the Nobel Peace Prize. He was nominated for it five times in 1937, 1938, 1939, 1947 and, finally, a few days before he was murdered in January 1948. It is widely held, that the Indian national leader should have been the very man to be selected for the Nobel Peace Prize. Marthin Luther King Jr., Nelson Mandela, Albert Luthuli considered Gandhi to be their mentor. If there was one person you had to name who personified peace and non-violence in the 20th century, it has to be Mahatma Gandhi. So Why Was Gandhi Never Awarded the Nobel Peace Prize? Again in 1938 and 1939 Gandhi was renominated by Ole Colbjørnsen, but ten years were to pass before Gandhi made the committee’s short list again. After 10 years, in 1947 the nominations of Gandhi for the fourth time by the Norwegian Foreign Office. The Nobel Committee’s adviser Seip wrote, “The following ten years from 1937 up to 1947, led to the event which for Gandhi and his movement was at the same time the greatest victory and the worst defeat – India’s independence and India’s partition.” Seip also wrote briefly on the ongoing separation of India and the new Muslim state, Pakistan, and concluded – rather prematurely it would seem today and Gandhi’s nomination was rejected. The last time Mahatma Gandhi was nominated was in 1948, but he was assassinated on 30 January 1948, two days before the closing date for that year’s Nobel Peace Prize nominations. But according to the statutes of the Nobel Foundation in force at that time, the Nobel Prizes could, under certain circumstances, be awarded posthumously(occurring after one’s death:). Thus it was possible to give Gandhi the prize. However, Gandhi did not belong to an organisation, he left no property behind and no will; who should receive the Prize money? The Director of the Norwegian Nobel Institute, August Schou, asked another of the Committee’s advisers, lawyer Ole Torleif Røed, to consider the practical consequences if the Committee were to award the Prize posthumously. Røed suggested a number of possible solutions for general application. Subsequently, he asked the Swedish prize-awarding institutions for their opinion. The answers were negative; posthumous awards, they thought, should not take place unless the laureate died after the Committee’s decision had been made. On November 18, 1948, the Norwegian Nobel Committee decided to make no award that year on the grounds that “there was no suitable living candidate“. Publicly regression by the Nobel Committee. The omission has been publicly regretted by later members of the Nobel Committee; when the Dalai Lama was awarded the Peace Prize in 1989, the chairman of the committee said that this was “in part a tribute to the memory of Mahatma Gandhi“. Unfortunately, people who deserve the prize often don’t get it. Why Was Gandhi Never Awarded the Nobel Peace Prize is a 20th century controversy..
Gandhi wasn’t awarded the price because the then members of the Noble committee didn’t have full support for Gandhi and his work plus awarding the price to him might strain Norway’s ties with Britain. If they didnt awarded the Noble Prize in Peace to Mahatama Gandhi ji, this award has no meaning.But how can they rectify thier mistake now? the butcher doesn’t deserve darned nobel. he engineered the split of the nation into two parts. and was responsible for the largescale loss of life that followed. he really did deserve to die, to be assassinated. It is sad though that Gandhi, had he leaved, he would have been awarded the prize because he didn’t deserve it, in my view. Not only did he not fight for the black south african community, he fought against them, in Bambatha kaMancinza uprisings. He referred to black people in deregatory terms. My mama brought us up and had us believe that gandhi was a man of peace but when I started reading his collected works a new picture started forming. I wonder how much of the 1949 hatred between blacks and Indians in Durban that lead to death of no lesser than 149 people can be traced back to him? Gandhiji deseved the Nobleprize so also a lot of good people well, our prayers are with him. A finish got Noble peace prize because Finland is Norway neighbor and also he is viking. Otherwise Finns are hostile people. Gandhi ji was and is much and much higher than noble prize. It is a common courtesy that one should acknowledge one’s sources. This article takes it content (almost verbatim) from the Nobel website on this matter, but not once does it acknowledge it. It is perhaps good to bring to fore these topics, but make sure you acknowledge your sources. i just want to know what has baraaak husaaaiin obaaama done in one year which gandhiji could not do in his lifetime of 79 years.this makes mockery of the prize itself.this award had become a political tool to please people.a person should be judged by what he has already achieved,and not by what he inten ds to achieve. This article is copy pasted from the Nobel Peace Website. why is it so easy to place blame when you have no merit to your name. i can see the envy dripping in some of the earlier posts and i have one question to ask: what have you done for your community, country, etc.??? In hindsight its good that he never got a nobel because Mahatma Gandhi was too big for a prize like this. No prize can do justice to the life and work of a man like him. As Einstein said, World has not seen and will perhaps never see a man like him, ever. Here’s one more interesting article on this topic. Gandhi is not only a great person but also a great sole. That is the mistake of Noble prize committee do not give the Noble prize to Gandhi. Doesn’t matter whether Gandhi got this prize or not. Gandhi and Peace and Non-violence are synonym for each other. NPP have lost the privilege of Gandhi being called its laureate. I think – Luther King Jr., Nelson Mandela, Albert Luthuli and lately Obama calling Gandhi their role model actually makes Gandhi a scale or unit of measuring your faith on non violence. NPP is just a recognition of the person topping that scale for a given year. By the way, we Indians are kind of people who just love to work silently and don’t want do any hue and cry about our achievements. Like the invention of Zero. Invention of Numeric system, invention of surgery, grammar, astrology, astro-physics, mathemetics; invention of military formations like Padmavyuha or Chakravyuha, invention of Ayurveda, Yoga and negetive munbers. We had people like Chanakya, Ashoke and kings like Puru who stopped the mighty Alexander. Gandhi is just another name is the long list. We are not a nation who waits for rewards or recognitions for what we did. We do things because its in larger interest of human kind. Like Non Violence. Previous post: Will your PC = your TV?